Without proper guidance, it would become difficult for a student to choose the correct program after GATE. Are you looking for the best coaching center to prepare for 2019 GATE exam? Then this is the right place for you. For all the students who are targeting the GATE ECE to continue their higher education or to get a dream job, we provide the best GATE coaching to make it happen through the best score in GATE. Our professional lecturers have excellent knowledge and experience to deliver GATE lectures for ECE. In order to train our students in an excellent manner, we also provide many interactive sessions. To meet all the requirement of our students, we provide coaching classes in different schedules. 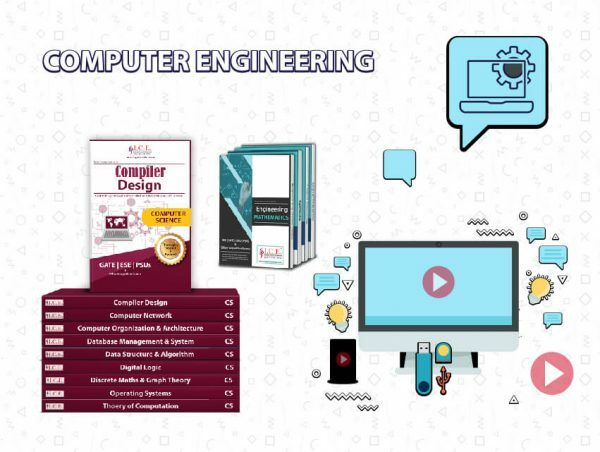 Our ECE students will be provided with full GATE syllabus for ECE at the beginning of the course so that it will be very helpful for them to plan for it. We cover the whole syllabus and complete it in an easy way for our students. In addition to the GATE electronics syllabus, we also teach students excellent problem-solving techniques so that they will become more confident in solving all the aptitude questions. As our faculty members are specialists in their own fields, they walk an extra mile to help students through sessions like video lectures, interactive sessions, and special doubt sessions. We also utilize digital channels and provide videos for online GATE preparation for ECE. What are you waiting for? Get coaching from leading GATE institute and achieve the desired score in GATE 2019 Electronics Engineering.